Now it is the 1950s and Darlington Hall needs a housekeeper. Mr Farraday, the new owner of the house, suggests that Stevens take his car and visit Miss Kenton, to see if she’d be interested in reemployment. Stevens drives across country, and as he goes, he reflects on his life in the 1930s. With the benefit of twenty years hindsight, he is able to see that, at a certain point in his relationship with Miss Kenton, he almost changed direction. He almost broke out of his professional role and expressed his true feelings. He almost changed path in life. And yet he didn’t. When Stevens arrives at Miss Kenton’s house, he discovers that she is now Mrs Benn – happily married and looking forward to her first grandchildren. Old truths come to light in the course of their conversation. Mrs Benn admits that, indeed, at one time she had feelings for Stevens, and she was heartbroken when he failed to reciprocate them. How different their lives might have if Stevens had found the courage to tear down his professional façade. Instead of being a butler and a housekeeper, they might have been meaning makers. They might have worked together to take their lives in a new direction and to redefine the meaning of life for both of them. It never happened. And now it is too late. At the conclusion of the novel, Stevens returns alone to Darlington Hall to live out the remains of his day as a butler. The tragedy of Stevens’ tale is not just that he missed an opportunity for love. It is that he chose to live without any real opportunities beyond those that were afforded him in his capacity as butler at Darlington Hall. Stevens allowed his life to be wholly defined by his professional role. In doing so, he failed to lay claim to his deeper possibility – the possibility of being an autonomous meaning maker in life. Often we forget that we can be meaning makers in life. We get caught up in being this or that kind of professional identity. We define ourselves through our jobs and roles. While we can and do find meaning in professional roles, we should never forget that they don’t define our full scope of possibility. We must be prepared to disrupt ourselves every now and then in order to see the unexpected opportunities in daily events and take our lives in new directions. This was the view of the French Existentialist philosopher, Jean-Paul Sartre (1905-1980). 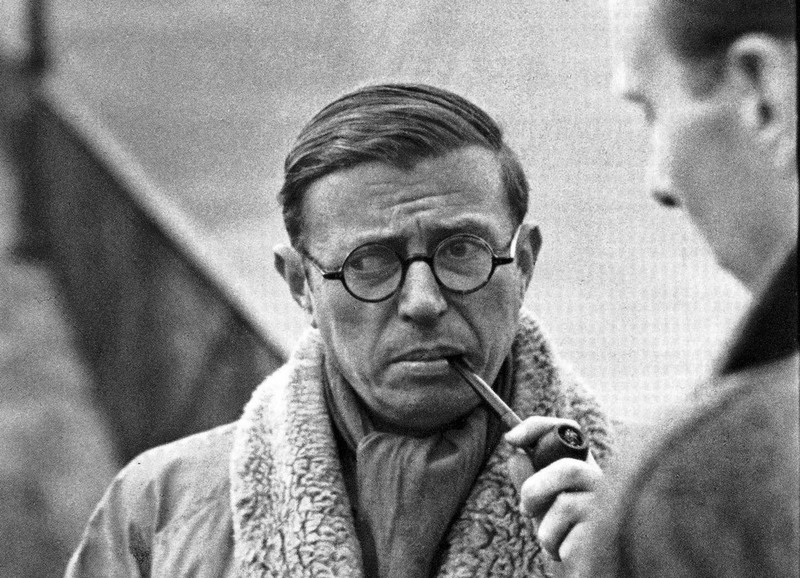 Sartre inhabited many roles in the course of his life: writer, resistance fighter, philosopher, philanderer, Nobel prize-winning author, amphetamine addict, and national hero. Sartre argued that we must actively create our life through choices and decisions. We must not fall into the trap of letting life define us. We must define it. We must become meaning makers in life, creating sense and purpose through our decisions. Sartre defined his position in opposition to the traditional philosophical view that each of us is born with an essence that we must discover and reveal to the world. This point of view is fundamentally religious in orientation, Sartre argued. It was devised by the Medieval Scholasatic philosophers, who held that God planned the world down to each detail and then created it. It is as if the world were a chess board, and God had dreamed up the essential nature of each piece – the kings, queens, knights, rooks, bishops, and pawns – then placed them on the board in one go. ‘Essence precedes existence’, the Scholastics used to say. The essence of each thing is defined prior to its existence. Our challenge is to figure out what kind of essence we’ve been given and live it. Sartre turned the Scholastic formulation on its head. Existence precedes essence, he insisted. This means: ‘Man first of all exists, encounters himself, surges up in the world – and defines himself afterwards’. We are born as meaningless entities in a meaningless world. If we want to make something of our existence, we need to actively create our sense of who we are and what we amount to. Many of us, like Stevens, shirk the responsibility of defining the meaning of life. Instead of autonomously creating ourselves, we let ourselves be defined by our social and professional roles. We focus on playing out pre-scripted parts. The better we become at the performance, the more natural the performance seems to be. Perhaps deep inside, we have the sense that we are cheating ourselves. We know that the real challenge in life is to become something unique. Yet this path is hard – intolerably so. It is much easier to play out a role and let life pass us by. And so we give up on the task of being meaning makers. We sit back and watch our meaningful opportunities trickle away down the cracks of history. Stevens treated himself like a thing. If you’d asked him: ‘Excuse me! What are you doing there with your black suit, your bow tie, your cold and dignified manner?’ Stevens would have replied: ‘Why, I am being a butler. This is what I am’. Sartre would tell Stevens: stop lying to yourself! People are not things. As human beings, we are more than the social roles we inhabit. We are our social identities plus the freedom to transcend them. Sartre distinguished between human ‘facticity’ – the set of facts that describe who and what we are at any point of time – and human ‘transcendence’ – our latent capacity or potential, which is never fully actualised at any point of time. If facticity ties us down, transcendence sets us free. The trouble is that when we think about who and what we are, we usually think about our facticity. We draw up a list of facts: we are of such and such an age; we live on this or that street; we have such and such an occupation, such and such a position, and so on. We describe ourselves as if we were things. It takes the ambiguity out of life. It means that we don’t have to worry about struggling to create ourselves in a meaningful way. The downside is that we sacrifice our existential freedom. Human beings are not things. We are creatures of potential. As creatures of potential, we are constantly reaching beyond the facts that define us in the hope of becoming something more than we are today. Fired by imagination and desire, we transcend the present in the direction of the future. This act of imaginatively leaping beyond the present is existential freedom. We all have it and we all use it. But far too few of us make it central to life. Too many of us are like Stevens the butler. Stevens denied his freedom for the greater part of his life. He experienced it briefly en route to reconnect with Miss Kenton. He abandoned it again as he turned for home. He was never destined to be free. Free human beings are disruptive by nature. They don’t settle for the status quo – they resist it. Instead of accepting the range of social and professional roles that are given to them, they violate, destabilise, and transform these roles in the process of creating the future. The world is full of drones devoted to the status quo. Rise above them. Be a meaning maker. Celebrate your existential freedom. 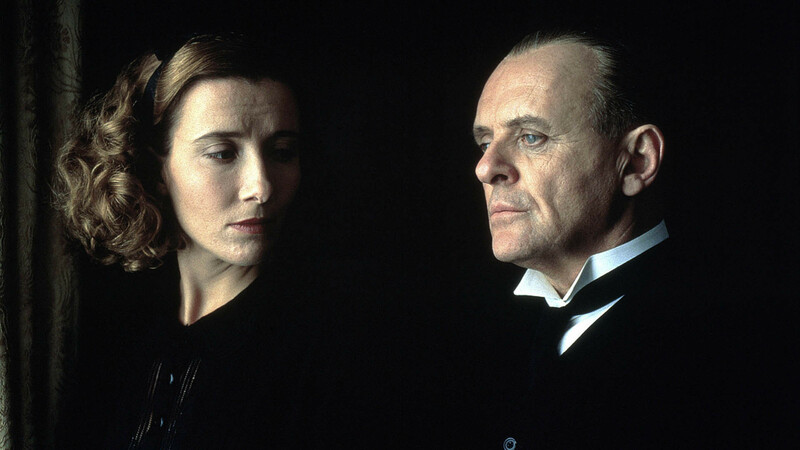 Insightful piece by Tim Raynor, bringing together Kazuo Ishiguro and Sartre. Really interesting post Tim, thanks for sharing. Extremely relevant for me and a lot of folk I know working in local government, and elsewhere for that matter. I’d be comfortable with having ‘Meaning maker’ on my ID badge. Thanks for this. It’s probably the clearest exposition of existentialism I have read, Much to think about! I wish that your much more intuitive and digestible illustration of Sartre’s thinking had been presented in my high school English classes, rather than the obfuscatory drudging through pathos and nihilistic despair that teachers found so fashionable at the time. Your remarks about high school English classes remind me of the first lessons I received on Sartre in UG university. There too the focus was on nihilism, with Sartre leading the heroic charge out of despair. No doubt this captured the pathos of the post-war years, and helped teachers locate Sartre’s philosophy relative to Nietzsche’s. But I don’t recall it resonating with my youthful mindset at the time. For me, existentialism has always been a hopeful doctrine. I grew up in a fairly dull middle class environment, and at the age of 18 or 19, the idea of making big choices that would define my life seemed powerful and ultimately optimistic. Two decades later, I haven’t changed my point of view. Except now I have the experience of looking at old friends who, like Stevens, didn’t choose to define themselves in any particular way, and are facing middle age feeling underwhelmed and lost. I can now see how truly important Sartre’s teaching is. There is a great deal of life experience behind this post. Thanks again for your eloquent remarks! Much obliged. I enjoy your writings. Reblogged this on Relationships Can Be Hell . . ..
Really enjoyed reading this. I don’t know much about Sartre but would like to learn more. Could you please tell me which one of his books discusses facticity and transcendence? Thanks Laura, glad you enjoyed it. Sartre develops the concepts of facticity and transcendence in Being and Nothingness. But it’s a difficult read. If you’re interested in an introduction to his philosophy, I’d recommend the essay ‘Existentialism is a Humanism’, which you’ll find in any decent collection on Existentialism. I’ve never understood why the radical freedom depicted by Sartre is supposed to be helpful. Stevens knew that he could have been something other than a butler. He just didn’t see any reason to do so Why should anyone want to be authentic – to be “meaning makers”? Having jettisoned any notion of human nature, an Aristotelian appeal to human function is barred. Meanwhile, radical freedom without “concrete” values and aims is impotent. We cannot create values. Any we can create are not values, but whims. Values have to in some sense be over us and greater than us. Radical freedom is something to be prized but only within the context of a world already replete with values and meanings. Heidegger is closer to the truth than Sartre. I would suggest that dedicating ourselves to rising above our world will place us in no world at all, disembodied and clueless. Not only is this a bad place to be, it is likely impossible. We are always in a world, one that has been gifted to us, even as we work out individually what that comes to for us.